As anyone who's been keeping up with Keeping Up with the Kardashians since the dawn of civilization knows, Kylie Jenner was a super cute kid. So it stands to reason that her kid is also a super cute kid. 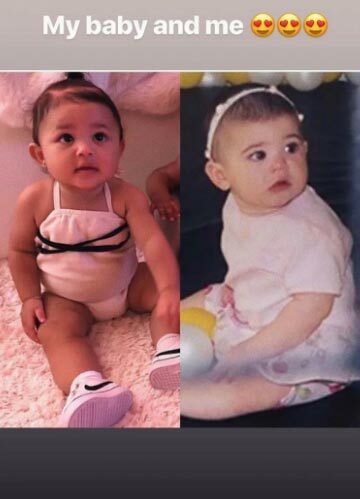 What no one realized until recently, however, is that Kylie looked exactly like her daughter Stormi when she herself was a baby—and their twinning status is truly mind-blowing. 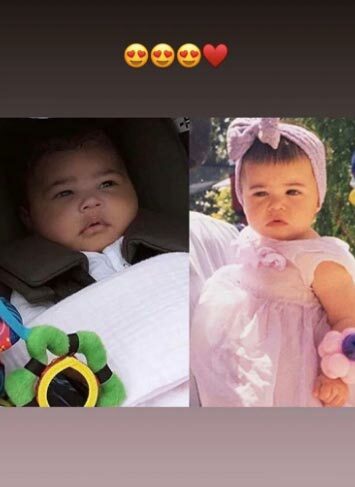 In fact, Kylie just hopped on Instagram Stories to share some side-by-side photos of her and Stormi, and they look so insanely alike.